Yes, Laura nobody can change the world. Even I could not do that. I were just a part of something much bigger than me. Something happened and I was on the same ship as everybody else. Maybe God wanted it to happen, maybe it was a coincidence in a chaotic universe, I don't know. All I know is you have to follow your heart and not worry about other people. Bless you. 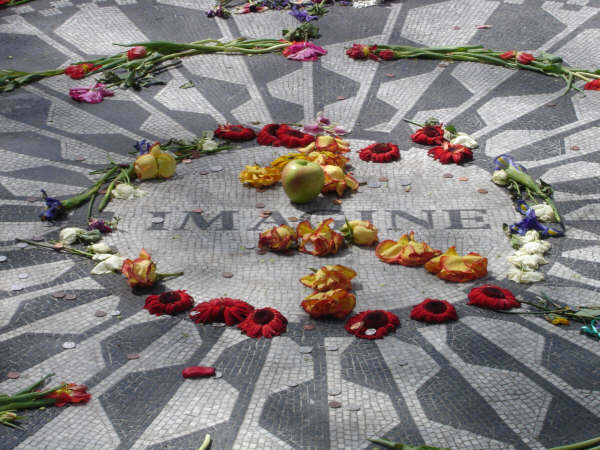 It's amazing how John Lennon never lost ANY of the accent of his home city. He sounded exactly the same even after living in all sort of places over his short life during his short career, mostly in New York in later years. His speaking voice was typical of the flat, rather monotone style of his native city. Yes, thats true. But Lennon lived in England for most of his life (I am not sure of this though). On the other hand, look at Ozzy. He's spent the greater part of his life in USA and still has the Brummie accent. Although, for the most part, his whole speaking style is a bit of a put-on job. I can understand if an alky (alcoholic) speaks like that, but the very fact that he's performing still, is able to sing with a decent sense of tune (and is not suffering for liver cirrhosis) points to the fact that he is sober mostly.